Been a while since I wrote some art reviews. Here is a short one. Cary Reeder is known to me as a painter of houses, particularly of the disappearing Queen Anne houses and Craftsman-style bungalows of the Heights. These paintings usually feature pastel colors and hard shadows. 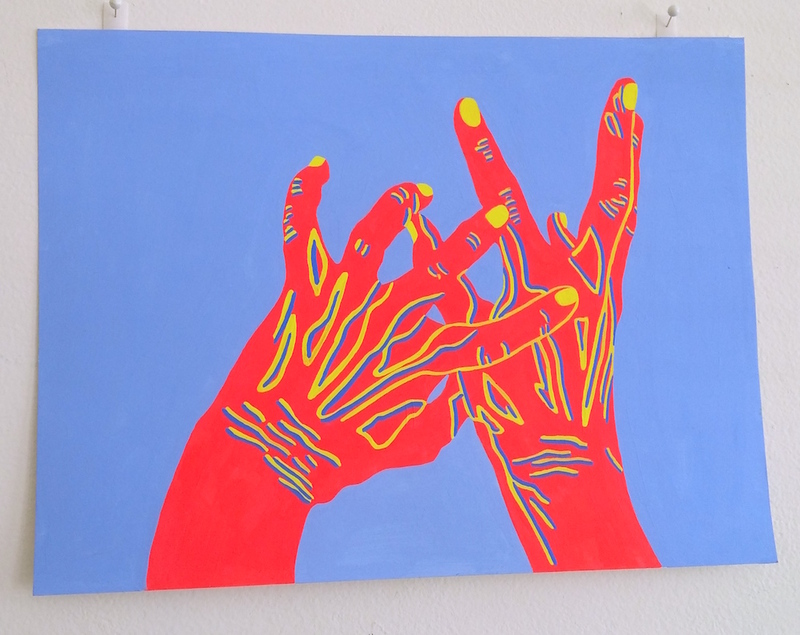 Her new work retains the basic color scheme but is somewhat more abstract and stylized. 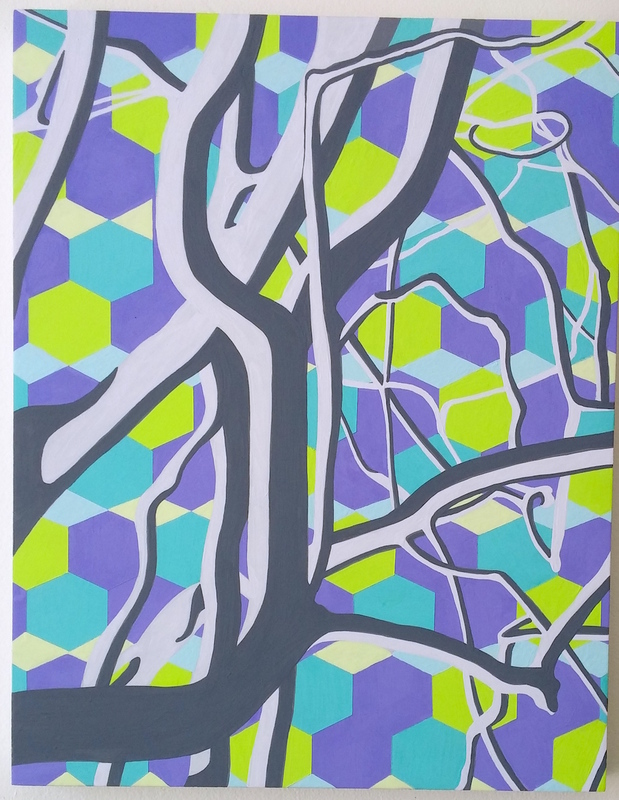 For instance, Entangled features tree branches with high-contrast shadows (which look similar to what we've seen before from Reeder), but behind the branches is a regular pattern of hexagons and diamonds in lavender, teal, lime green, pale yellow and light blue. I'm told that she spent several week in a friend's cabin up in New Mexico working on these. I was quite pleased to see something different from Reeder. The new work makes me realize that what I've always liked most about her work were the flat areas of color. He colors are really quite wonderful. The show will be on view tomorrow afternoon at Optical Project--that's your last chance to see it.